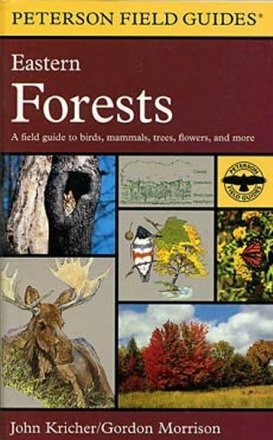 This Peterson Field Guide includes all the flora and fauna you're most likely to see in the forests of eastern North America. Topics include forest field marks, the varying kinds of forest communities and indicator plants and animals for each type, and the different seasons in the forest. This guide includes 53 full-color plates, 100 color photographs, and more than 60 line drawings, illustrating trees, birds, mammals, wildflowers, mushrooms, reptiles, amphibians, butterflies, moths, beetles, and other insects. Measures 7-1/4" x 4-1/2" with 488 pages.